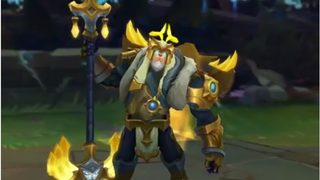 League of Legends champion Yorick is getting a new skin, his first since June 2011. League of Legends champion Yorick is getting a new skin, his first since June 2011. The new skin is Arclight, and changes the look of most of his abilities and ghost minions.